What was the musical scene like in Vienna when Mahler was conductor of the opera? What was Mahler’s conducting style like? 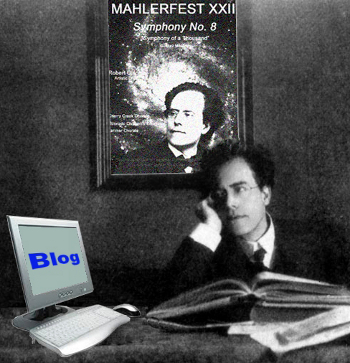 Were Mahler’s later compositions influenced by the younger generation of serial composers? Which conductor comes closest to Mahler’s own conducting style? The well-known, eloquent, and brilliant British Musicologist Deryck Cooke interviewed Egon Wellesz, the Austrian-born composer, and one-time pupil of Arnold Schoenberg, for the BBC in 1962. Wellesz’ discussion about Mahler’s conducting will surprise you, as it surprised Cooke! This entry was posted in Ron Nadel and tagged Deryck Cooke, egon wellesz, Gustav Mahler, mahler's conducting style, Ron Nadel. Bookmark the permalink. Thanks for stopping by! Please subscribe to our blog, and tell your friends!